2014 is starting off to be a busy year for singer Kelis. You know Kelis. The singer who brought you “Milkshake”, “Bossy”, and the phrase “I hate you so much right now.” Nas ex-wife.Yeah, that Kelis. Now that you remember her, let me get back to the article. Not only does she has a new album, Food, scheduled hit shelved in April but she also has a cooking show(blank stare). Saucy and Sweet will showcase the singer’s culinary skills and what she has learned from Le Cordon Bleu, proving she can make more than milkshakes. Kelis is definitely doing cross-promotion for her new album. The album basically serves as a soundtrack for the cooking show and everyone loves a cooking show. Saucy and Sweet will premiere on the Cooking Channel on February 26th. 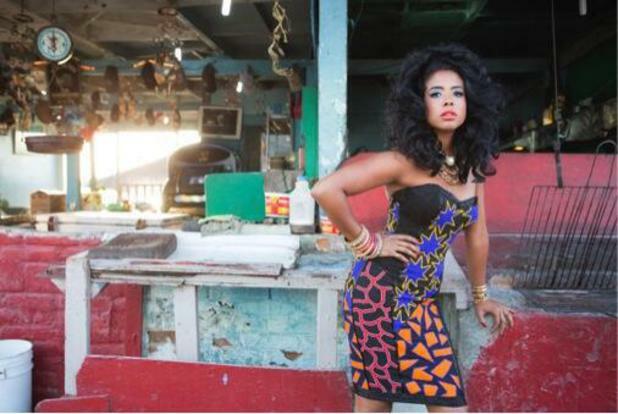 In the mean time, check out Kelis’ new video, “Jerk Ribs”, and share your thoughts below. This entry was posted in Celebri-TEA, Entertainment and tagged cooking channel, cooking show, kelis, nas by JimmieValentino. Bookmark the permalink.